Summary: When we think “Messiah,” we think “Jesus.” He is God’s Anointed One — His Christ — His appointed Savior and the Redeemer of mankind. And when we think this way, we’re right. 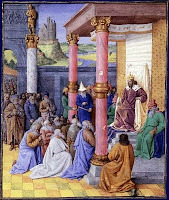 The Lord chose His kings and priests to rule, guide, and guard His people according to His good and gracious will. So why does He speak through Isaiah, calling the pagan (possibly Zoroastrian) emperor Cyrus by name to be His messiah? Why? Because God works through the things — and the people — of His Creation to accomplish His will, particularly His will to undo sin’s damage and to bring reconciliation between Him and us. His verbal and spiritual anointing of Cyrus (there’s no record of Isaiah or anyone else physically anointing him by pouring out a horn of olive oil on the emperor’s head on behalf of the Lord) signifies that nothing will get in the way of God’s plans and that He uses even those who don’t know or believe in Him to further His will. Just as He used a famine to find a haven for Jacob’s family in Egypt and an oppressive Pharaoh to trigger the Exodus, so He at times raised heathen nations, particularly Assyria and Babylon, to chastize sinful Israel. He never sat idly by, content to merely observe humanity’s passing history. Particularly with Israel, He constantly intervened in order to prepare for His Son’s coming as the great and perfect Messiah who would bring to completion God’s constantly unfolding preparations for our salvation. He maneuvered Egypt, Assyria, Babylon, Persia, Greece, Rome, and others and, “when the fullness of time had come, God sent forth his Son, born of woman, born under the law, to redeem those who were under the law, so that we might receive adoption as sons. (Galatians 4:4-5)” Although we don’t usually see how He’s doing it, we know that He continues to use whomever and whatever He chooses in order to bring His Son’s salvation to the world while also maintaining civil order and feeding, clothing, and housing both the righteous and the wicked. We, too, are anointed by God as His holy people and priests of the New Covenant. 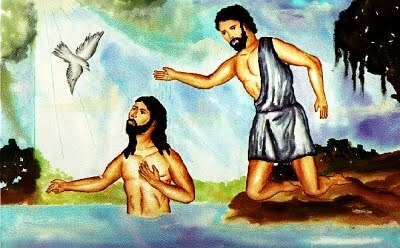 He called us by name in Holy Baptism and poured out His blessing on us. Not only does He forgive our sins and lead us heavenward; He also accomplishes His will through our vocations as we live our lives in faith and serve our neighbors in love. We are His anointed people, fulfilling His holy purposes. Text: Thus says the Lord to his anointed, to Cyrus, whose right hand I have grasped, to subdue nations before him and to loose the belts of kings, to open doors before him that gates may not be closed: “I will go before you and level the exalted places, I will break in pieces the doors of bronze and cut through the bars of iron, I will give you the treasures of darkness and the hoards in secret places, that you may know that it is I, the Lord, the God of Israel, who call you by your name. Audio: Click to hear the MP3 of Meet the Messiah ... Cyrus‽, preached to the saints of God at Grace Lutheran Church, Lexington, Missouri.